Photo by Jhpiego/Emmanuel Kihaule—Lilian Novati and her newborn daughter. 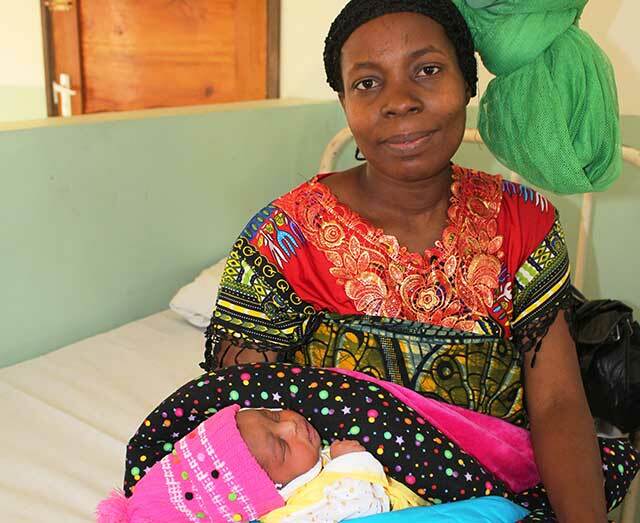 Bukoba, Tanzania—Lilian Novati was 36 weeks pregnant with her third child when mild pain and swelling in her stomach caused her to visit her local health facility for a consultation. She was quickly referred to Kagera Regional Referral Hospital in Bukoba, where she was diagnosed with a dangerously high level of fluid in her abdomen. But it wasn’t just the quick diagnosis and plan of treatment that impressed her, it was the entire facility—the care she received and the quality of the maternity ward in which she received it. “It’s spacious, with good ventilation and lighting, many more beds, and no one sleeping on the floor before or after delivery,” Lilian said. Based on her last visit to the ward in 2011, when she delivered her first son, Lillian had expected a difficult stay. She remembers a cramped, dark ward with more pregnant women than beds, and a stay marked by discomfort: “I was given a mattress and slept on the floor…All the women who had not yet delivered were given mattresses and slept on the floor along the ward corridors.” In many cases, she added, multiple women shared a bed. The labor room was just as packed as the ward. “Childbearing was such a bad experience,” Lilian recalled. Overcrowded wards are one of many reasons a woman might choose to forgo the safety of delivery with a skilled birth attendant and instead give birth at home. On this visit, not only had the maternity ward itself changed, but also the quality of Lilian’s care. The team of health workers helped treat her condition to avoid greater complications during her pregnancy. “The doctors and nurses are so caring, unlike previously, when they were overwhelmed by the patients’ number. Today, they even provide their mobile numbers…in case of emergency,” she said. 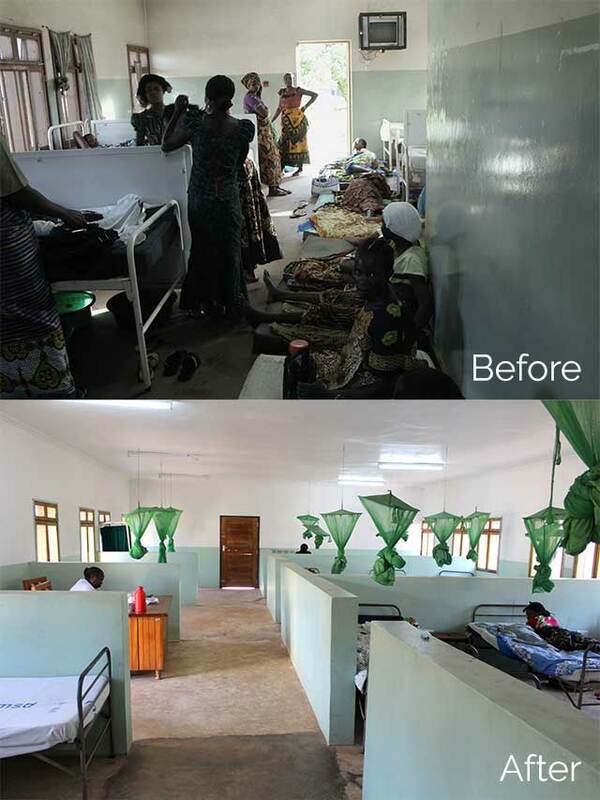 This renovated maternity ward at Kagera Hospital, a government facility staffed by respectful, skilled health workers, is the result of a collaboration between Tanzania’s Ministry of Health, Jhpiego and the U.S. Agency for International Development’s (USAID’s) flagship Maternal and Child Survival Program (MCSP). When Jhpiego’s President and CEO, Dr. Leslie Mancuso, visited the hospital’s maternity ward in early 2015, she noted many of the same difficulties that Lilian described—an overcrowded, overwhelmed ward. Alongside commitments from Tanzania’s Ministry of Health leaders and dedication from the health workers staffing the ward, as well as the ongoing efforts of MCSP to build the capacity of health facilities and workers throughout the region, Dr. Mancuso committed Jhpiego to help reinvigorate the maternity ward. Now recently completed, the ward is expanded in size, allowing an increase in beds from 28 to 66, and the addition of two nursing stations and washrooms. The Jhpiego-led MCSP supports more than 220 health facilities and surrounding communities in expanding access to, and quality of, maternal and child health services by building the capacity of health care workers to provide emergency obstetric and newborn care during childbirth. Before the renovation, pregnant women sat on mattresses on the floor. Today, their stay is cleaner, safer and more private. Photo By Charles Wanga/Jhpiego. Kagera’s Regional Medical Officer, Dr. Thomas Rutachunzibwa, notes that today, every pregnant woman admitted to the hospital has a bed. “Now, not only do health workers work in better conditions, with confidence…women and their newborns will be in a respectful, convenient, clean and safe environment,” he said. For Lilian, that’s just what the doctor ordered. She went into uncomplicated labor near the end of her week of treatment and care at the hospital, and safely gave birth to a healthy baby girl.